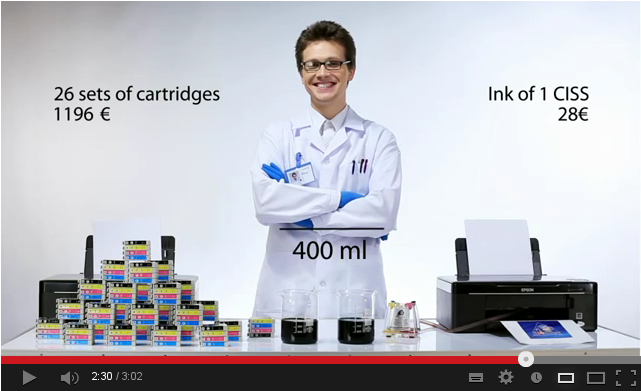 Not so long ago a continuous ink supply system (CISS) was invented in order to make printing costs cheaper. вЂњBut how is it connected with Epson printer and original cartridges?вЂќ, you may essentially ask. Let us see what the point is. This system is immediately connected with all kinds of printing devices as it can become a perfect alternative to original consumables. Working principle of continuous ink supply system is that inks interruptedly run from the external tanks to the printing head though the attached ink tube. In other words, the system is situated outside the printing device. This enables users to refill ink without opening the lid. Besides, the external tanks have much more higher capacity than cartridges themselves. This decreases printing expenditures in several times. However CISS is not the only alternative to the genuine consumables. There are also RCs (refillable cartridge for Epson). Refillable Cartridges Epson Plotters, printers and all-in-one devices will save your money, though they have lower capacity. As you can understand, the main advantage of CISS for Epson printer is that it reduces your printing expenditures. After a once-only purchase of CISS, you will have an opportunity to abandon constant expenses on new cartridges and will stop overpaying for brand-name and plastic tanks. Ink tanks of continuous ink supply system have higher capacity if compared to original cartridges and can hold 100-130 ml of ink! This increases the amount of prints without additional CISS refilling. Continuous ink supply for Epson will provide noticeable economy. That is why using such construction for production purposes, in large or small offices is absolutely reasonable. For photo studios that print a lot, this innovative device will be indispensable. There is no doubt that CISS will be useful for home usage as well. For instance, it will be handy if you have to print different photos and pictures on multifunctional device or printer. But cost-effectiveness is not the only feature that attracts thousands of people to buy CISS for Epson printers. The other significant characteristics are simplicity and the fact that the system is an easy-to-use one. 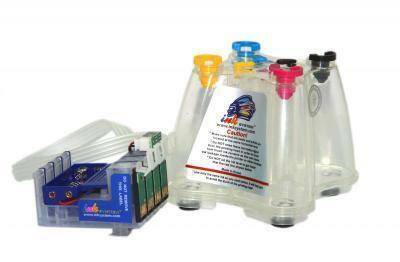 You can choose the capacity of the tanks and refill CISS with inks without any help. 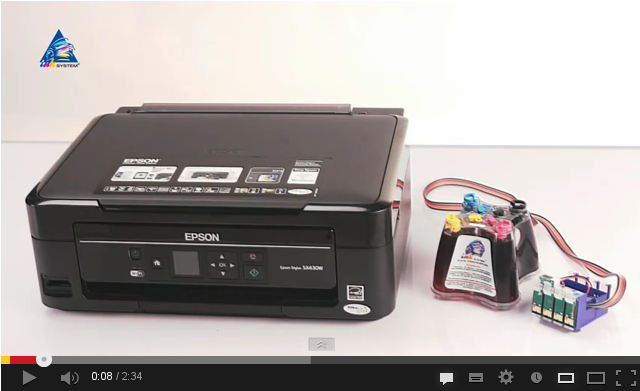 CISS for Epson printing devices enables users to control ink level inside the tanks. As soon as you have noticed ink run out, you can just refill required tank with ink. Due to that you will escape from frequent and pretty unpleasant procedure of cartridges refilling. Moreover, this innovative invention is eco-friendly. Just imagine the enormous amount of plastic cartridges that are thrown away annually! If using CISS you prevent damaging to the environment. CIS system wonвЂ™t do any harm to your printing device and wonвЂ™t interfere in its original construction. The system is completely identical to genuine cartridges as it is constructed by analogy to them. 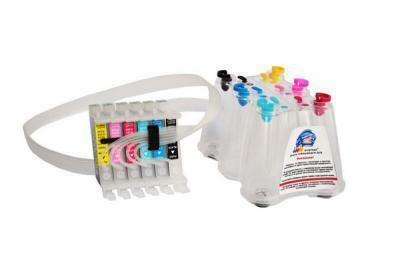 Generally speaking, continuous ink supply system is a profitable, convenient and efficient decision for printing!